A.U. student Carol Muzik illustrated and wrote a children's book on raising a little goose. It earned a Best Books' Award-Winning Finalist from USA Today Books. For her Masters Degree project, Ann Aiken developed her approach to creating "soul portraits." You may read her project and view her portraits..
A New Path: A Dream Quest Experience. I embarked on this dream quest full of anticipation and excitement. Throughout my life dreams have been instrumental in providing me with guidance and helping me solve problems. Often, while in College, I would go to bed with an unresolved Computer Science or Math assignment and wake up the next morning having dreamed the solution. Though I was originally drawn to regression for the potential historical value such practices might provide, my ideas about what "truths" are generated from a past life regression are more akin to finding personal value in the experience and the life patterns than with the factual validity of the information gained. Are you someone who cares about other people? Are you among the first to notice if someone is upset? Do you like to help those in need around you? Are you someone who often thinks of other's needs before your own? 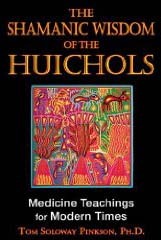 The Shamanic Wisdom of the Huichol. 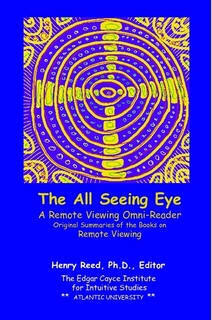 By Tom Soloway Pinkson, Ph.D.
People who are dying are on a vision quest although they would not articulate it as such. They are seeking a deeper vision for the meaning of their lives as they prepare to face their death. Our review of the scientific data shows that science erects no barrier to the affirmation of the soul. But, in the light of modern science, is it possible for us to affirm the reality of a life after death? And is this a question for the philosophers?To start with, let me say that it is senseless to ask a certain class of philosophers if there is a life after death. 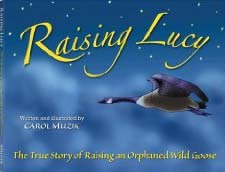 Raising Lucy: The True Story of Raising an Orphaned Wild Goose. Written and Illustrated by Carol Muzik. What would you do if an orphaned day old Canada gosling appeared on your doorstep? That was the dilemma for Carol Muzik and her husband Nick as they set out to try and find the little gosling its real family and home. When weeks turned into a month they realized the little goose they named Lucy had become a part of their family. First Nations art, including art of Native peoples of Haida Gwaii, or the Queen Charlotte Islands archipelago, at these links: Spirit Wrestler Gallery; Totems to Turquoise; Canada Council Art Bank. Natalie Glasson, of the UK, expresses thoughts from Lord Merlin,who claims to be an ascended master and light being, on the Earth's shifting energies and our place in it. Sean Caulfield of Rock Art Gallery in Cape Town, South Africa, honors the San/Bushmen ancient rock paintings, which inspired his molded stone aggregate/resin rock surface "canvas." His Sacred Art page features a rock art painting of Sacred Quetzacoatl, ancient Mayan god-king. Alison James, English by birth and a New Yorker by choice, teaches about Ascension Energies and acts as another channel for Merlin, who assures us that both we and the planet Earth are ascending together. Jaschenka Sarloos of the Netherlands is inspired by elves, myth and "magick," drawing fantasy art and designing costumes with a Celtic and Medieval flair. A site dedicated to nurturing body, mind, and spirit, with many interesting articles and resources, the inspiration of the Daily Om can arrive in your email box. Their monthly webazine offers a variety of interesting articles. The current issue focuses on "Religion and Medicine." A special program led by Henry Reed, creator of the Intuitive Heart Discovery Process, at Cedar Springs, Virginia, May 2-8. Kathy Doore's "blog" is more than a blog. Her speciality is the spirituality of Peru. Great photos, opportunities, and information.